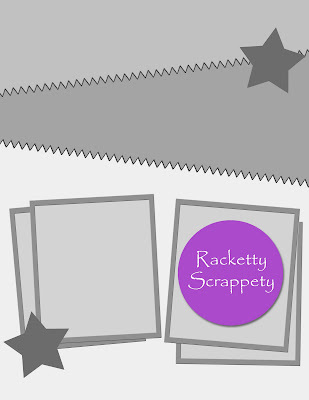 Well, my dear scrapping friends, the time has come for me to sign off indefinitely. After a difficult pregnancy, my boys came 3 months early on November 10th. Our Dex didn't survive the journey and has returned to his Heavenly Father. Our life is (even more) chaotic now as we've circled the wagons a little tighter around our family, fighting the good fight alongside our Crew, who remains in the NICU. I've felt very blessed by my association with you all and your kind and generous words over the last year. I plan to be back some day, with new layouts of our new little guy. I always make the template first and then make some pages with it, to give it a test drive. I've discovered that some designs are easier to work with and more versatile than others. This particular template was super fun and, for whatever reason, I think that this one was easier to use than most. 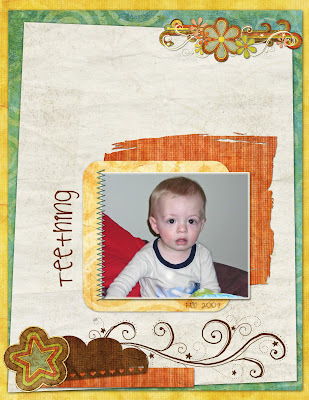 Credits: Beige paper for main background from "Being Me" kit by Gina Marie Huff of Weeds and Wildflowers Design. 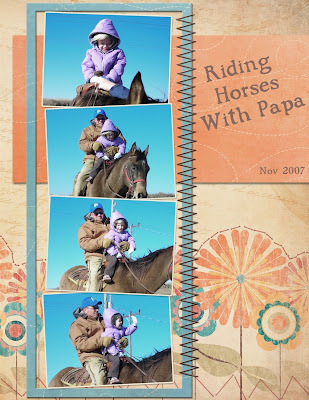 Font is "Pea Courtney". All other papers and elements from "Seeing Stars" kit by Heidi Williams of Weeds and Wildflowers Design. 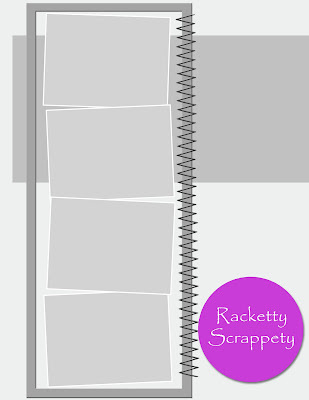 Stitching by Racketty Scrappety, included in template. Credits: Pin from "Girly Grunge" by Lisa Majewski; Doodle from "Seeing Stars" kit by Heidi Williams of Weeds and Wildflowers Design. 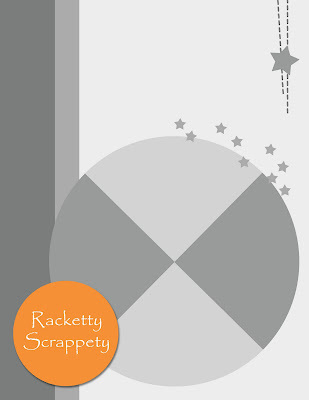 Stitching by Racketty Scrappety, included in template. 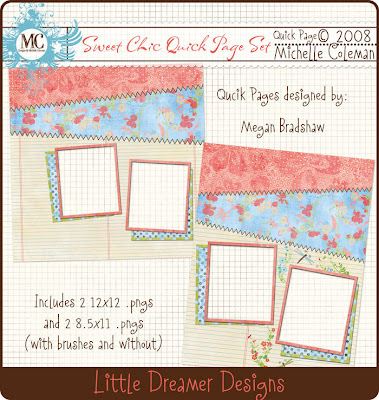 All papers from Sweet Chic kit by Michelle Coleman of Little Dreamer Designs. 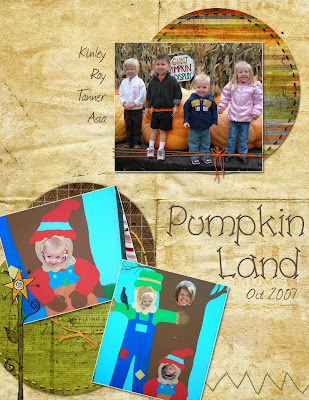 **If you download a template, please take a moment to leave a comment here or on 4shared! Otherwise, I lose motivation to keep posting templates! Thanks so much to those who have sent their thanks and greetings recently and in the past! 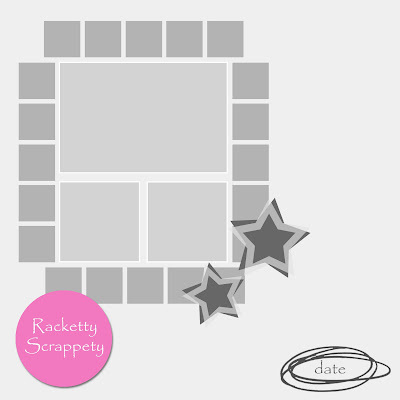 Download Template 59 RECTANGLE Here! 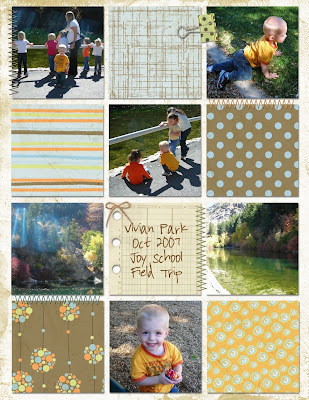 Download Template 59 SQUARE Here! Credits: Font is Batik Regular. Blue polka paper is from "Doing the Polka" set by Gina Marie Huff of Weeds and Wildflowers Design. Striped overlay on red paper from "Painting a Dream" set ty Gina Marie Huff of Weeds and Wildflower Design. 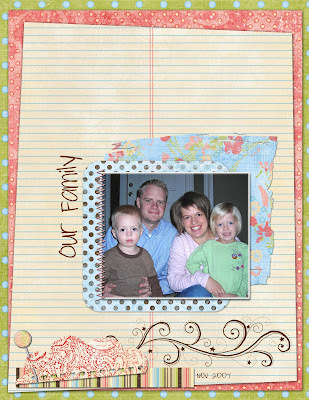 All other papers and photo corner piece from "Tag Sale" kit by Tracy Collins. 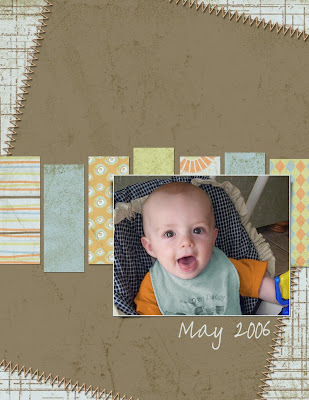 Download Template 58 RECTANGLE Here! 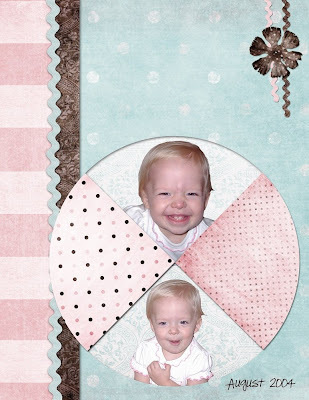 Download Template 58 SQUARE Here! 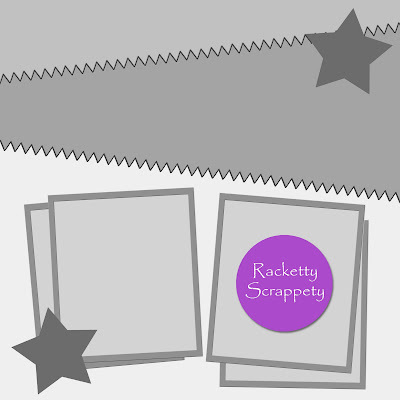 Therapeutic scrapping! Feels good to finish a page! 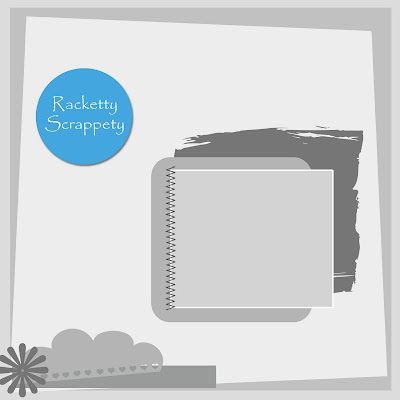 Credits: "Sugar and Spice" kit by "Skittles and Scraps"
Download Racketty Scrappety Template 57 RECTANGLE Here! 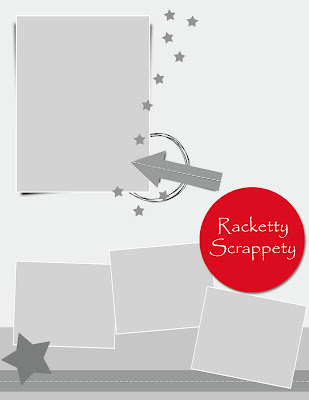 Download Racketty Scrappety Template 57 SQUARE Here! Continuing with the Break, LOL! 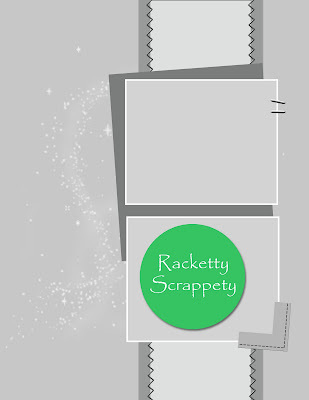 Yeah, so I'm not sure when I'll be up to scrapping, LOL! A funny thing happened on the way to the OB this morning. Surprise! Twins! At least now I know why I've been so crazy sick with this pregnancy!!! Well, for the last several weeks, I have been in the "throws" of first trimester pregnancy with our third little one. It doesn't look like it's going to improve over the next few weeks, and then we'll be traveling to visit family. 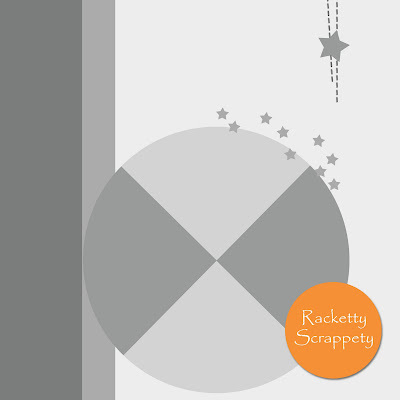 Keep me in your googlereader so you can know when I get back to scrapping! I miss it already! Credits: Glitter brush by Obsidian Dawn; Papers from "Painting a Dream" kit by Gina Marie Huff of Weeds and Wildflowers Design. Font is Dali. 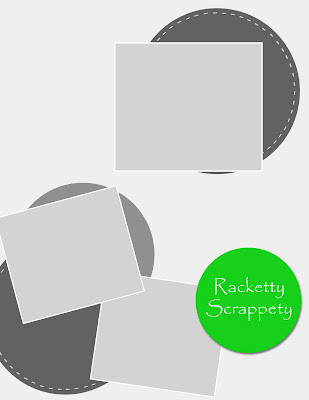 Download Template 56 RECTANGLE Here! 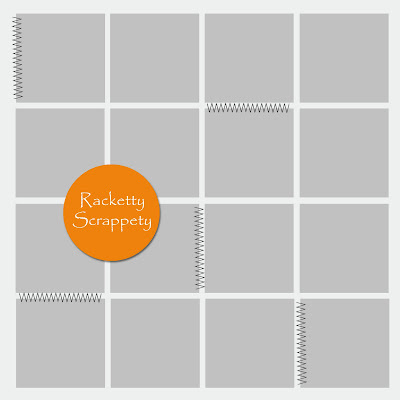 Download Template 57 SQUARE Here! And thank you so much for the sweet emails inquiring after my health and wellbeing. All is well, better than well, actually. We've traveled and we've had travelers, and have been otherwise wild and crazily busy. I forgot May gets like that sometimes! I need to remember that for next year! Credits: Schnookums kit by Laura Deacetis. Font is Pea Girly Girls Script. 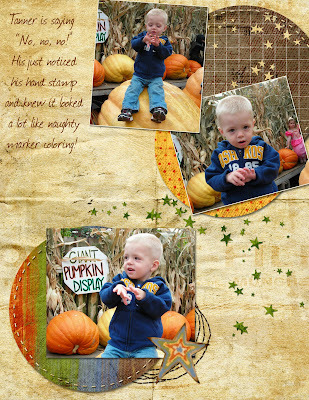 Credits: Amour kit by Michelle Coleman of Little Dreamer Designs. Font is Pea Janelle. 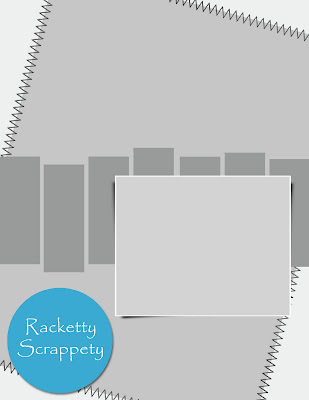 Download Template 55 RECTANGLE Here! 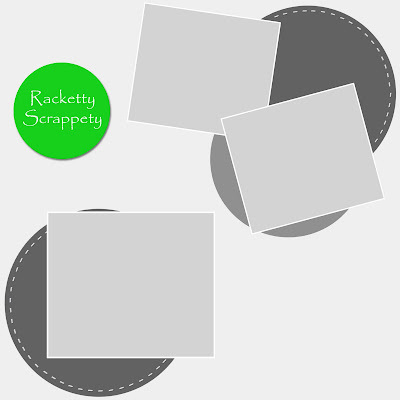 Download Template 55 SQUARE Here! I haven't scrapped in a month and a half and I can hardly believe it! The last 6 weeks have been amazingly busy, but fun and fulfilling, so I can't complain. Well, I shouldn't complain, but how can I not when I haven't been able to find time to scrap??! 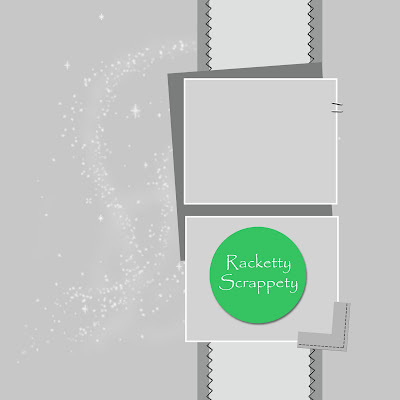 I finally took some time this afternoon and I feel all scrap-happy and fuzzy inside :) Hope you enjoy the template! I'm going to post another one in a few minutes. 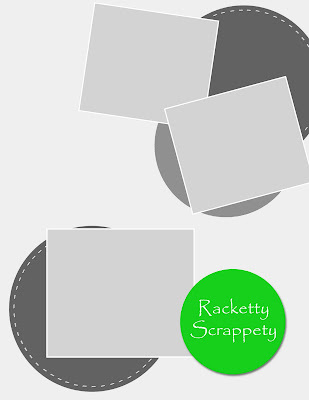 Download Template 54 RECTANGLE Here! 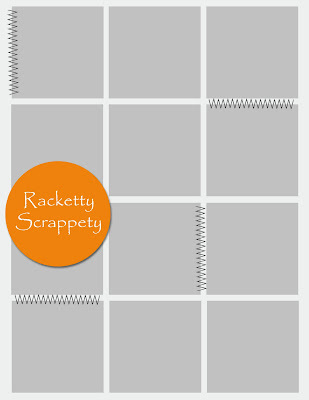 Download Template 54 SQUARE Here! Credits: Background paper, teal paper, and red paper for arrow from "Wishing on a Star"; Circle stitching from "Believing in You"; word art and large corner star from "Super Stars". All items from Gina Marie Huff of Weeds and Wildflowers Design. Green polka paper from Sweet Shoppe Design and Little Dreamer Designs Charity Collab kit "Stand Up" to benefit "The Alliance for Climate Protection". Font is Pea Jenny. Credits: Font is "Pea Amy", background paper and heart from "Spreading Cheer kit" by Gina Marie Huff of Weeds and Wildflowers design. All other papers from Sweet Shoppe Design and Little Dreamer Design's Charity Collab kit "Stand Up" to benefit "The Alliance for Climate Protection". Stitching is mine. 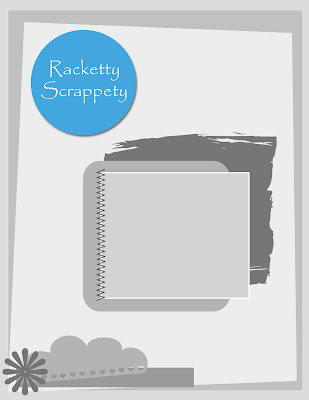 Download Template 53 Rectangle Here! 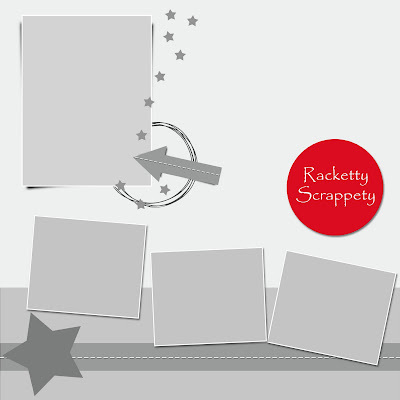 Download Template 53 Square Here! 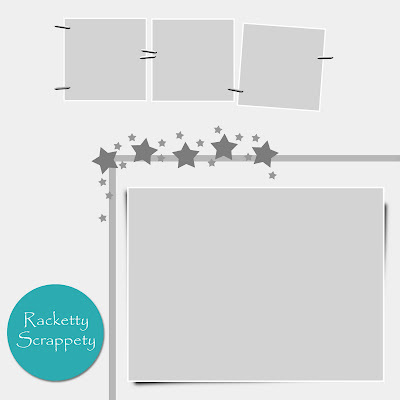 Michelle Coleman of Little Dreamer Designs has posted some Freebie Quick Pages designed by me! 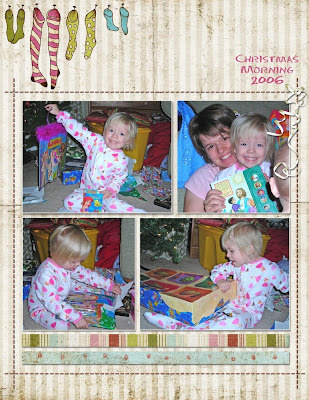 :) They were so fun to make and I was so pleased that she liked them enough to post them. I feel positively giddy! 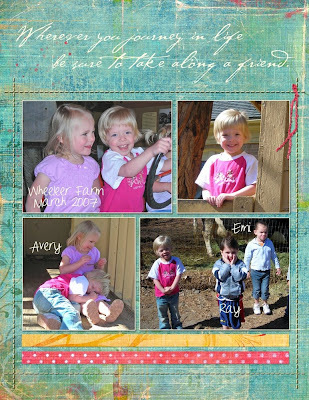 I used her "Sweet Chic" kit, plus some dragonflies from her "Sweet June" kit and her new "Floral Spray Brushes". I really love the feminitity of her designs, don't you? 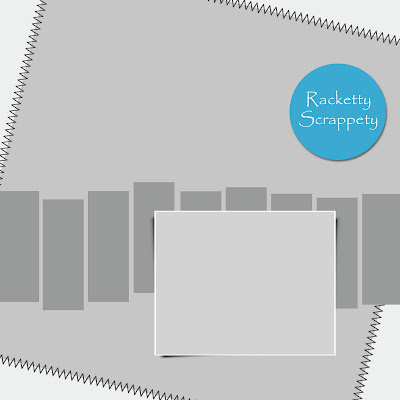 There are four quickpages total: Square, rectangle, with brushes, and without. 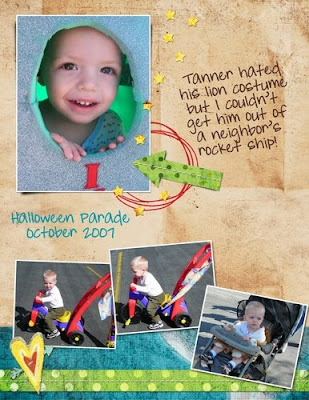 Go to Michelle's Blog to download them! 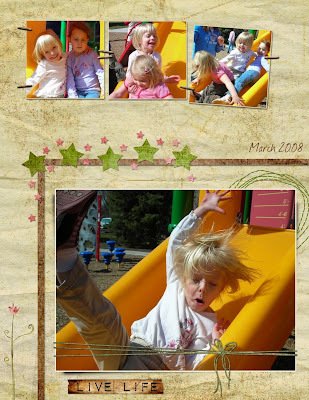 If you download them, PLEASE be sure to thank her for allowing the use of her beautiful creations to make these free Quick Pages! It was very generous of her! 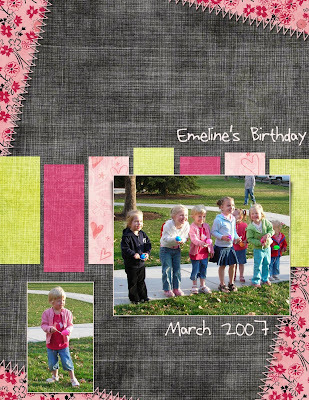 Download Template 52 Rectangle Here! 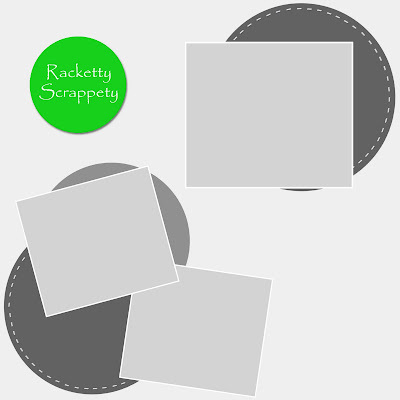 Download Template 52 Square Here! Thank you so much to you wonderful ladies who sometimes post or email me links to your pages, or the jpegs. 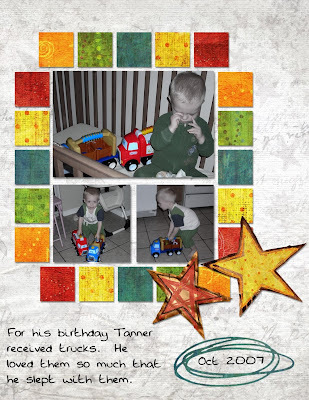 It is such a thrill and a privilege for me to see how you have used your creativity to enhance the templates! I think this is one of my favorite layouts. It was super fun to work with. Enjoy! 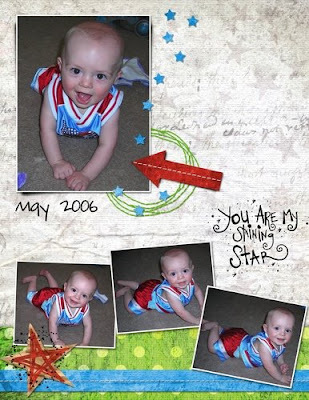 Credits: Stars from "Super Stars" by Gina Marie Huff of Weeds and Wildflowers Design. Papers and flower from "Sweet Chic" by Michelle Coleman. Font is Dave's Hand. Credits: Stars from "Super Stars". Papers and lettering from "Being Me" kit. Dots overlay from "Painting a Dream". All kits from Gina Marie Huff of Weeds and Wildflowers Design. 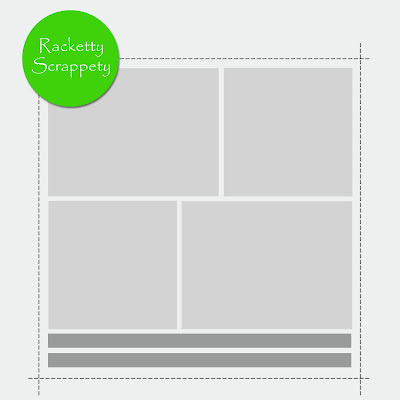 Download Template 51 RECTANGLE Here! 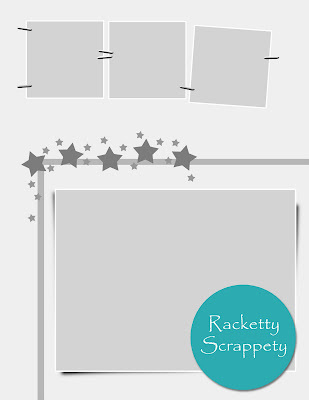 Download Template 51 SQUARE Here! The link was crossed for a few minutes, but it was long enough for Template 51's post to hit Googlereader. So make sure you got what you wanted, square or rectangle! I'm going to take down the original post and repost it! Thank you so very much to those of you who have taken the time over the last several months to leave comments. I read every single one and they lift my spirits regularly! They really make me smile, so thank you. Credits: Background paper from "Wishing on a Star" kit. Stars from "Seeing Stars". 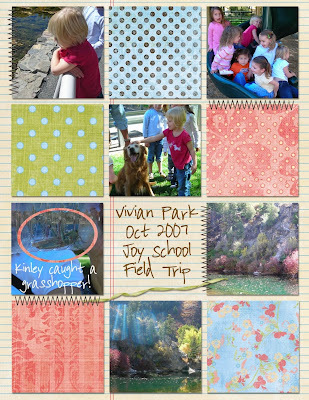 All other papers from "Summer Bright" kit by Heidi Williams of Weeds and Wildflowers Design. All elements by Gina Marie Huff of Weeds and Wildflowers Design. Font is Dave's Hand. Download Template 50 Rectangle Here! 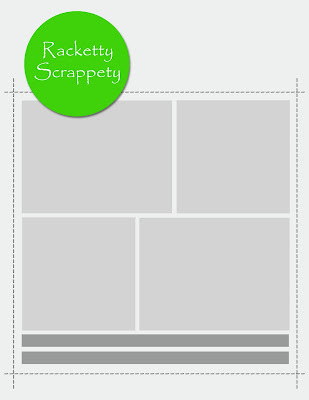 Download Template 50 Square Here! Credits: "Believing in You" kit by Gina Marie Huff of Weeds and Wildflowers Design. Fonts are Journal and LD Slash Serif. 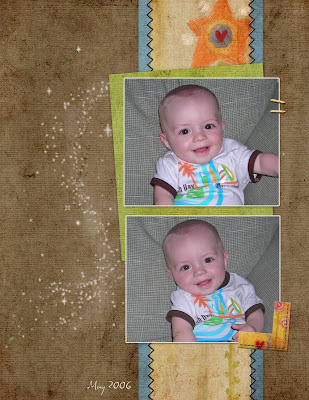 Download Template 49A and B RECTANGLE here! Download Template 49A and B SQUARE here! Credits: Flower from "Shabby Fall" kit, all stitching from "Believing in You" kit, all papers from "Being Me" kit. All kits by Gina Marie Huff of Weeds and Wildflowers Design. 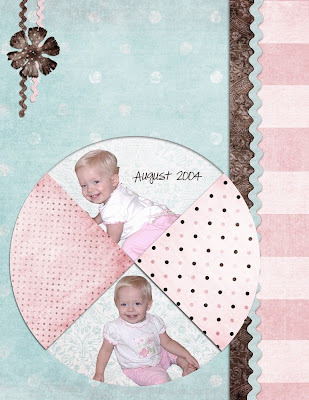 Credits: "Celebrate" freebie kit from Shabby Princess. 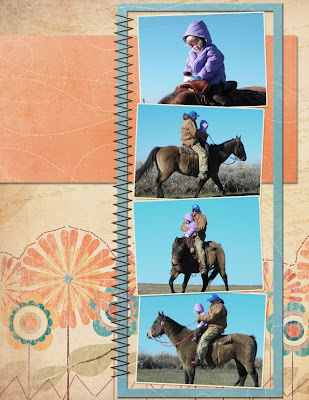 Notebook paper from "Welcoming Spring" kit by Gina Marie Huff of Weeds and Wildflowers Design. 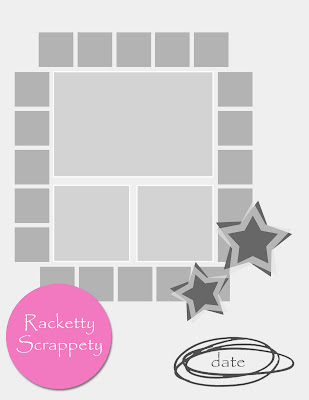 Download Template 48 RECTANGLE Here! 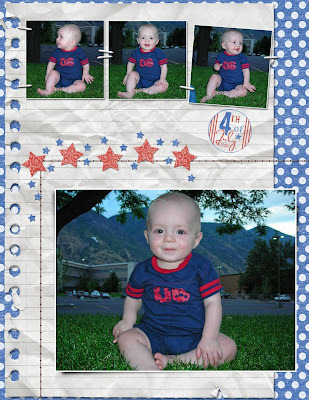 Download Template 48 SQUARE Here!